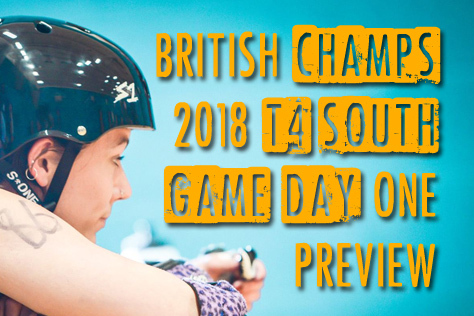 After what feels like forever – it has been over two months since the last Game Day – the Tier 4 South East of British Champs cranks back up into action on Saturday (17th October) as the Riverside Leisure Centre in Chelmsford hosts the final day of divisional action. Doors open at 1pm, with the first game whistling off half an hour later. Tickets are available on the door, priced £6 for adults and free for under-16s. The venue is close to Chelmsford station, which is just over half an hour’s journey from Liverpool Street. Through tickets from Sussex stations are surprisingly spendy at around £45 return (£30 with a railcard). A useful trick here is to buy two separate tickets – one from Sussex to London Bridge, one from Liverpool Street to Chelmsford – and walk the 15 minutes between the London stations. This could bring the price down by around 40%. 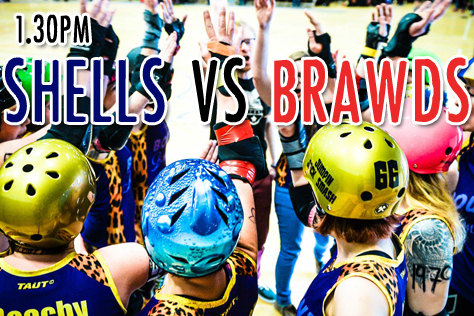 The Bombshells are up first against table toppers Norfolk Brawds (who have already qualified for playoffs). 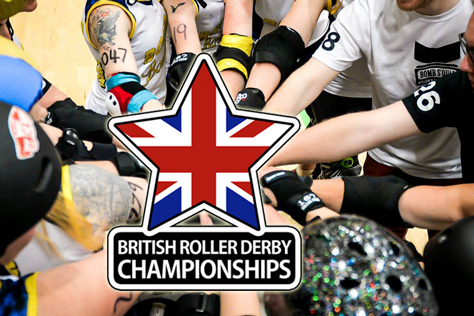 Although the teams are placed close together at the bottom of the UKRDA rankings – the Brawds 46th on 501.7 points, the ‘shells 48th on 440.6 – the predictometer at Flattrackstats calls this as 90% chance of a Norfolk win. Predicted differential is 37-20, equivalent to a 259-140 Brawds win. Eastbourne would probably be happy with a result like that, having gone down 73-201 to the East Anglians in the Heartland Series last year. 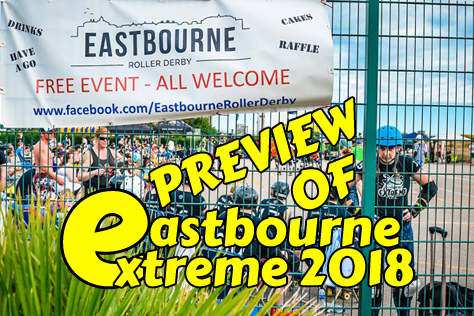 High scoring jammers in the top ten charts are Khilleesi, Zippy and Philthy Delphia for the Brawds, whilst the increasingly impressive Amazing Graze rates highly for Eastbourne. 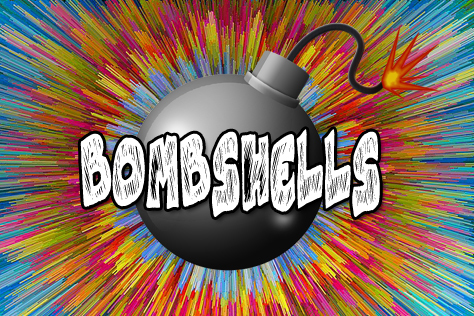 Defensively, Smash’er Fierce and The Philosofear are the top rated Bombshells blockers. The day’s second game sees hosts Killa Hurtz take on Suffolk in a game that will decide who takes the division’s second playoff place. Though the sides are tied on two wins and a loss apiece, FTS favours the hosts quite strongly here. 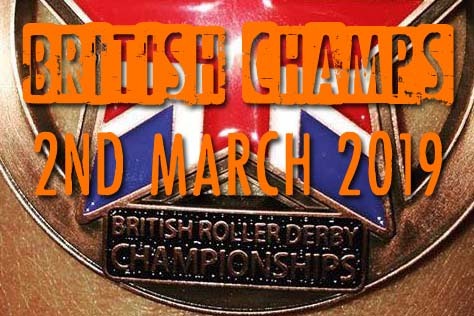 With neither side in the UKRDA, it’s the European rankings table we have to look at here. Killas place 98th on 543.2 points, with Suffolk 256th on 465.9. 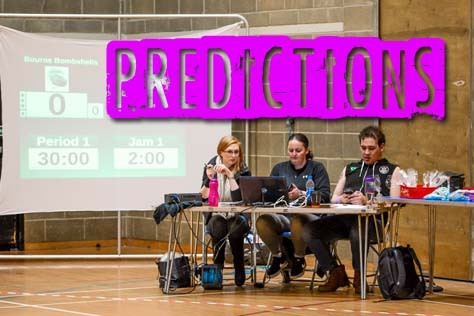 The online predictor gives the hosts a whopping 96% chance of the victory, with an expected differential of 29:12 mathsing out in the region of a 232-96 home win. 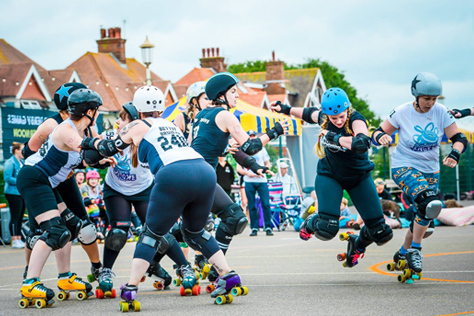 Killas’ Bonty Python, Chaos Thor-E and Snarley Quinn score highly for jamming in the Champs charts, with Miss Behave and Maltese Mayhem Suffolk’s highest rated starheads. Mother Mercy and The Beckoning top a list of eight Killas in the (albeit not updated since Game Day 3) blocking top ten. Hi there. 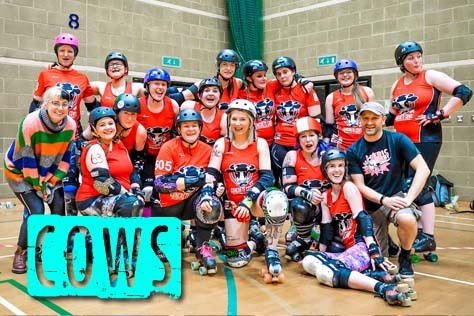 So the Brawds are already through to playoffs. 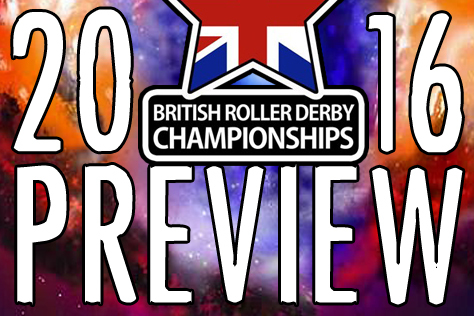 What have been your highlights and lowlights of the 2015 British Champs season? 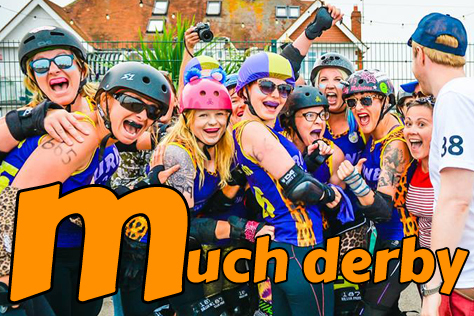 Obviously our (very close) win against Killa Hurtz in our debut bout of the season at home was a big highlight for us. And to be honest it’s just gotten better and better from there. So there really aren’t any lowlights! 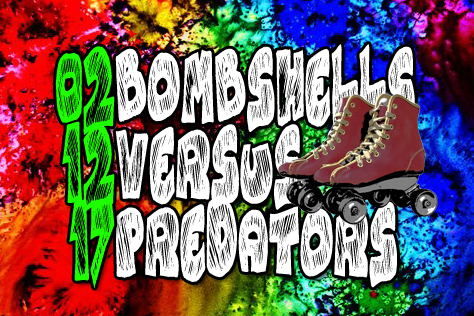 Your final game of the regular season is against the Bombshells. 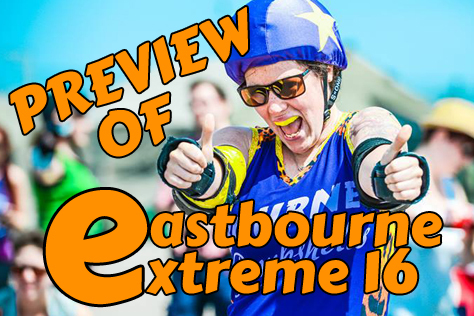 Any particular Eastbourne players or tactics you’ll be looking out for? We have played Bourne before but it’s been at least a year. 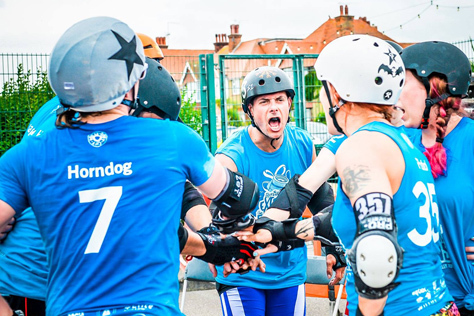 We have changed and strengthened a lot as a team since then, but we know they really have as well, as they proved in their bout against Suffolk. We have a soft spot for Bourne as they are always so welcoming and fun to scrim with. We’re looking out for everything and everyone. We’re going into this bout as focused and tough minded as any other. Any particular Brawds players or tactics that people in the crowd should look out for? Care to predict the result? You always ask us that and you know we aren’t going to answer! 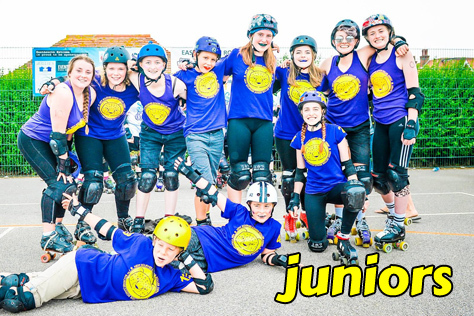 There are definitely a few new tricks up our sleeves that we’ll be trying out on Saturday, and we’ve really worked hard to get all of our A-team skaters up to the same level of skill, ability and fitness. So no one should stand out. Or everyone should! The day’s other game sees Killa Hurtz and Suffolk fighting it out for the second playoff place. How do you see that game going? These are two really strong teams that get stronger every bout they play. 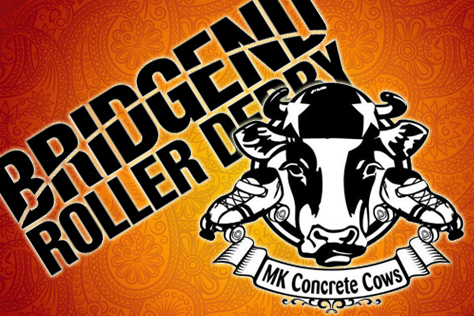 We’re looking forward to seeing a really tight bout. If we had to guess based on our games against Suffolk and KH, we’d expect KH to take it, but Suffolk are tough and have some amazing players to look out for, so anything could happen. 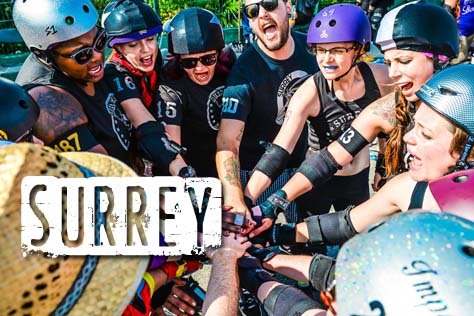 Finally, T4 Central South’s Surrey Rollergirls and/or Hell’s Belles await you in playoffs. What do you know of those sides and how do you rate your chances against them? 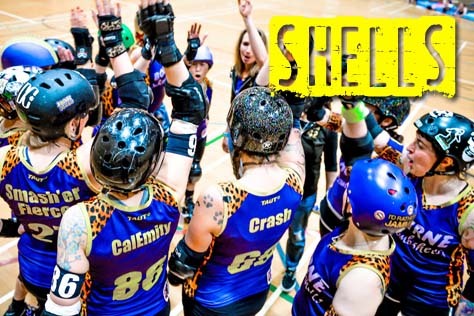 We’ve played both teams in the past, although Hell’s Belles more recently and regularly. 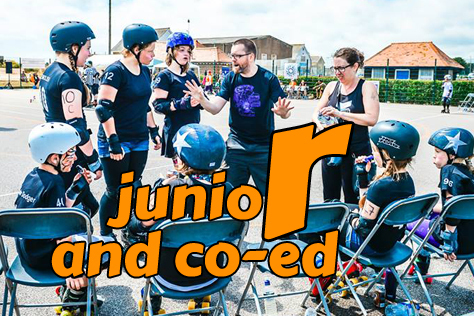 They are one of our favourite teams as they are really friendly and we have skated (and camped!) with them a few times in the Hotrod Hayride. You might say we have a VERY friendly rivalry with them so it’d be fun to play them in the finals. Both teams have obviously been working hard to get to the top of their tier so we are expecting them to bring everything they’ve got to finals. However, we’d definitely like to see ourselves in Tier 3 next season. Hi there. 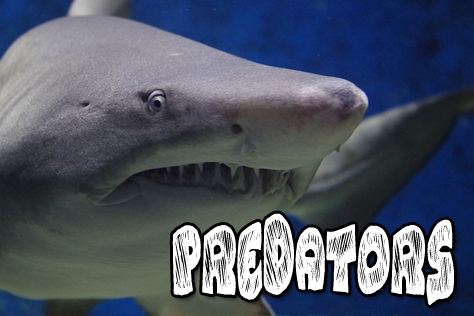 So Killa Hurtz will be battling it out with Suffolk for a playoff place this Saturday. 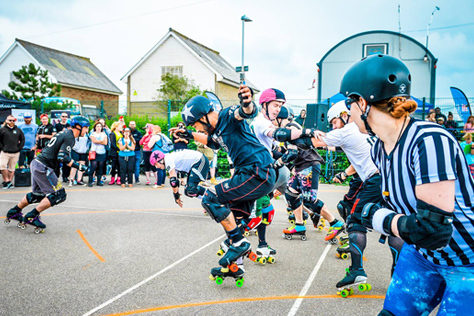 An exciting end to the British Champs T4 South East season. Is this what you were expecting when the season began? 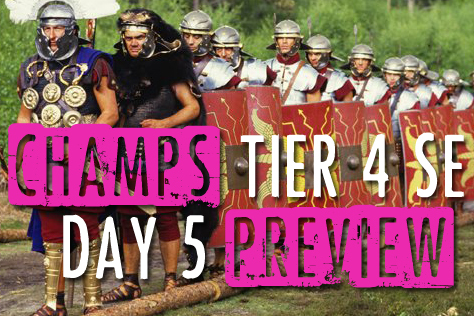 We truly had no idea what to expect from Champs when we signed up to it. We were still a fledgling league having only played two public bouts (home and away against Suffolk!). However our directors and our coach thought that, if nothing else, it would be a good learning experience. So we signed up and trained hard. Played some closed door games against some pretty big teams (and won) and our hard work paid off. I think our highlights have been seeing both the team and the players grow. 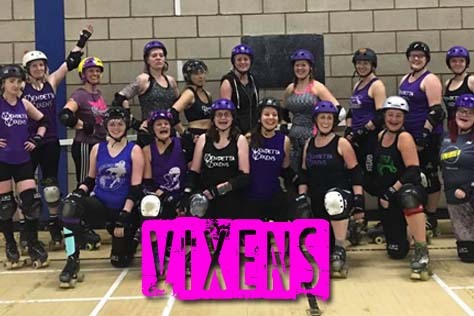 We did have two transfers from the Seaside Sirens at the end of last year, and having that experience in the team has only helped everyone get better. 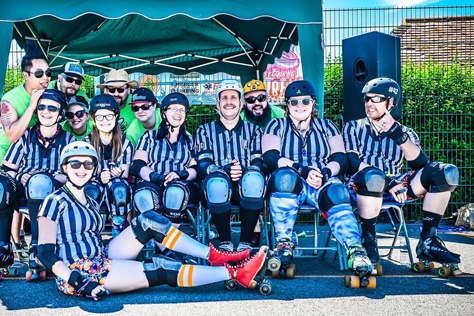 I think if you look at the player tables you’ll see just what a strong team we now have… and I do believe we have scored the most cumulative points in the whole of Tier 4, so we are proud of that! I think our ‘lowlight’ has to be THAT game against the Brawds where we lost the game in the last jam by just six points. It still hurts! 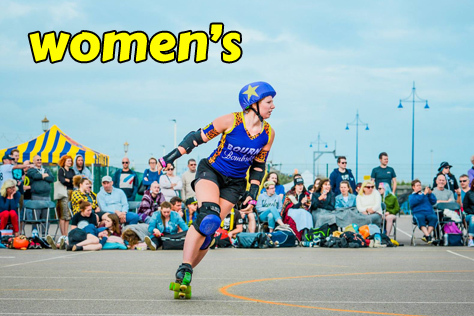 What do you know of Suffolk Roller Derby? Any particular players or tactics of theirs you’ll be looking out for? 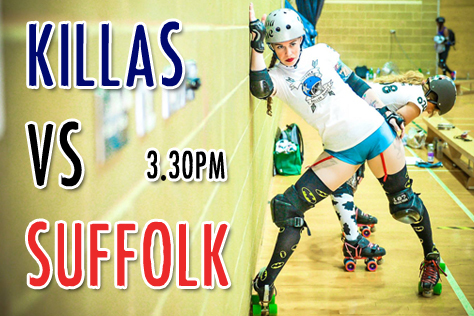 Suffolk are our derby besties. In the past we have trained together, scrimmed together and hung out together. They are truly a lovely bunch of people and I think we both champion each other when we are not playing each other! 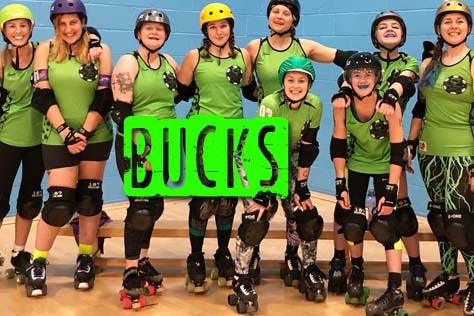 Suffolk have also grown a lot over the past six months and have some new players on their squad that we have not played against before, so it will be interesting to see how they complement their existing team. Yvonna Bone is back on their squad and she has always been one to watch when she is jamming! Any particular Killa Hurtz players or tactics people in the crowd should keep an eye out for? Care to predict the result? 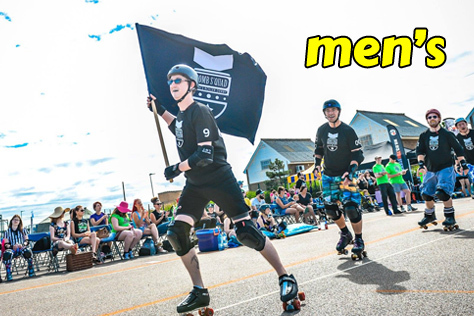 We have some new players that people won’t have seen on our squad before: Judge Shredd and Penny Traitor. Whilst new to the team they are definitely strong and obviously wouldn’t be in the squad if they weren’t capable. 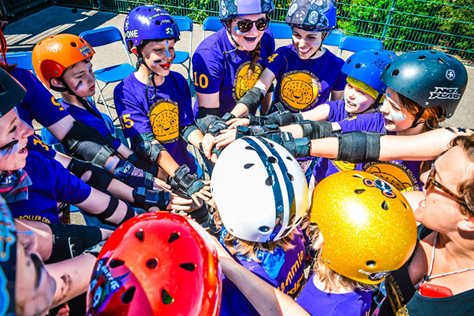 We have some new tactics that we have been trying out over the summer; we had a rather long ‘rest’ period so it has given us time to try some new things out! I wouldn’t want to predict the result as anything can happen on game day, and both teams will be looking to settle the score as it’s currently one apiece! 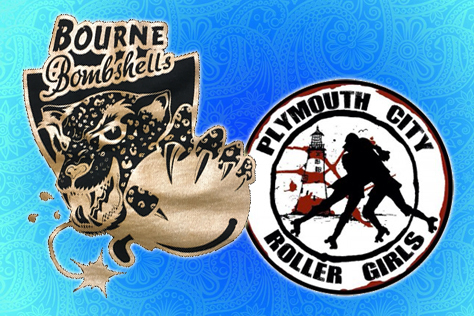 The day’s other game sees table toppers Norfolk Brawds up against Bourne Bombshells. How do you see that one going? The Norfolk Brawds are the most experienced team within our division. Political Vagenda was so tenacious in our game, definitely a player to keep on the radar. Khilleesi is another Brawd to look out for – she gets so low when she jams. 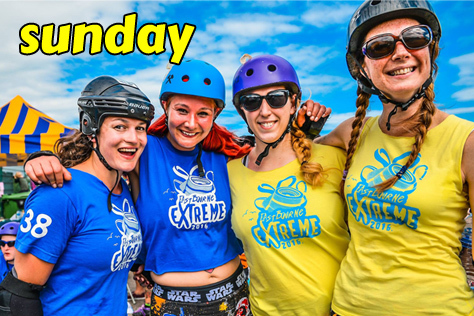 We played the Bombshells in our first game of the season, and since then each game they’ve played they’ve come back stronger and stronger. The last game they played v Suffolk was another nail-biter. 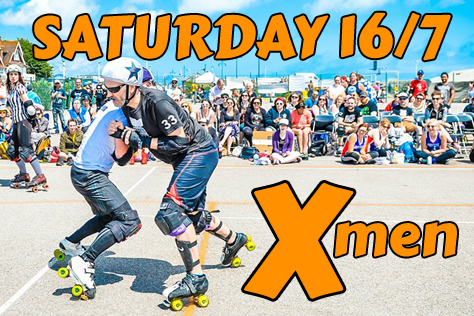 Whether all the hard work they’ve clearly been doing will be enough to topple the mighty Brawds, I guess we’ll find out on Saturday! You’re hosting the action on Saturday. What can you tell us about your venue? Riverside is our home venue, and we are lucky that the manager there supports our team and goes out of his way to help us out. We have trackside seating and two balconies which give an awesome view of the action. 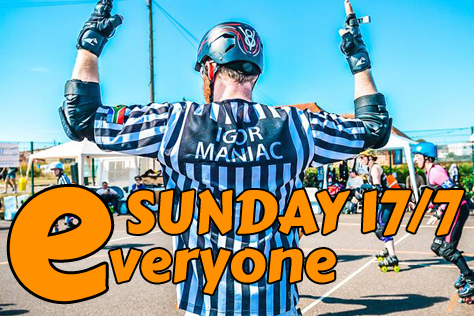 Swift Customs and Shoves & Kisses will be at the venue and we will have merch from all the teams participating as well as Team England Men’s and Essex Men’s. We have a licensed bar and snacks available to buy in the hall. Riverside is pretty central being only a ten minute walk from the train station and all day car parking is available at the centre for £6.80. However, just over the bridge from the Leisure Centre is the Riverside Inn pub, which has a car park (on the opposite side of the road) where all day parking is £4.80. 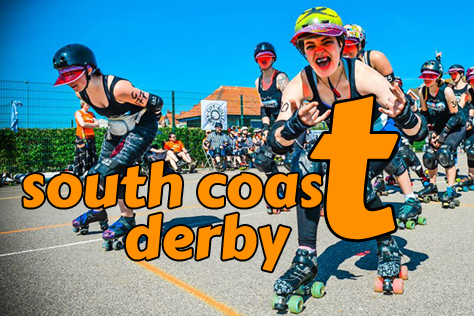 Post derby shenanigans at our after party shall include a lip sync battle and streaming of the Southern Discomfort game live from the USA. So please come and join us for a drink and we’ll be ordering in pizzas. The venue is The Two Brewers on Springfield Road which is a five minute walk from the sports hall.